With the patronage of the ISI, Dawood Ibrahim and his aides continue to run a major fake currency racket that funds terror activities in India, says Vicky Nanjappa. The dossier that will be handed over to Pakistan by Indian authorities on March 28-29 -- when the two sides hold much-anticipated talks -- includes the names of nearly 400 terrorists who are believed to be hiding in the neighbouring country. A major challenge for Indian investigating agencies is tracking down and blocking the flow of funds for terror activities. According to these agencies, fake currency rackets are the main source of funding for terror activities. 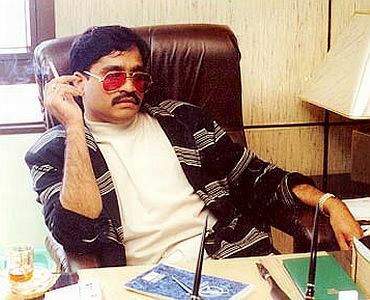 Underworld don Dawood Ibrahim is considered to be a key player in this racket, which is run by his aides Aftab Bakti and Babu Gaithan. While these two men are believed to be hiding in the United Arab Emirates, Indian authorities will bring up the issue during talks with Pakistan officials, as the fake currency is printed in that country. 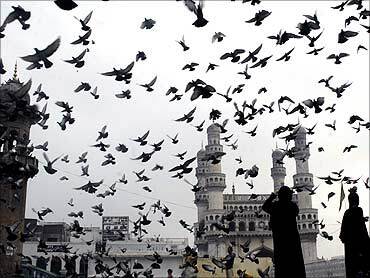 Indian agencies believe that Bakti, who hails from Maharashtra and has a strong network in Hyderabad, is a key player in this racket. Bakti initially operated from his bases in India and then shifted to Pakistan, before settling in UAE. Pakistan authorities have the power to curtail Bakti's activities and provide vital information about him, say Indian investigators. Bakti has managed to create a dedicated route for the circulation of fake currency notes, using Hyderabad as an important base for his operations. 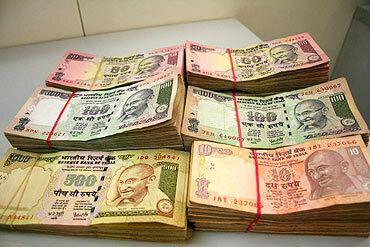 The city police had confiscated a major cache of fake currency right before twin blasts rocked Hyderabad. Along with Gaithan, who operates from Dubai, Bakti had recruited several construction site workers who were used as carriers of these fake notes between India and the UAE. The duo has also set up modules in various states which carry out operations of this racket. What Pakistan will need to monitor is the flow of notes from that country into the UAE from where it is pumped into India. The notes are all printed in Pakistan on high-quality machinery, say sources in intelligence agencies. Bakti has been under the scanner of Indian agencies for quite some time. A couple of years back, the Central Bureau of Investigation had moved a court in UAE seeking his extradition. A look-out notice was issued against Bhakti in 2002. But in spite of these measures, Indian security agencies have failed to get access to him. According to sources, Bhakti is 53-years-old and is fluent in Hindi, Urdu and English. Indian agencies say that Pakistan authorities have to be answerable for his activities as Bhakti runs his fake currency network via Pakistan and Dubai. 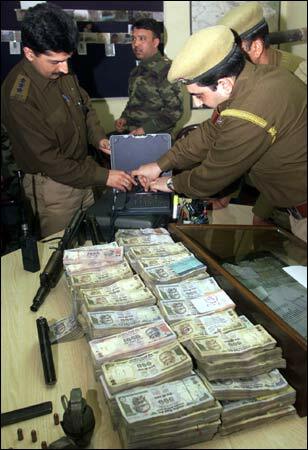 With the patronage of the Inter Services Intelligence, Dawood Ibrahim and his aides continue to procure high-quality paper from London and print fake notes that are virtually indistinguishable from the original. The terrorists running the racket are constantly innovating to counter attempts to shut down their activities by Indian agencies. They are also strengthening their network in southern states like Tamil Nadu and Kerala, say security agencies. It is important for the Indian delegation to bring up this pertinent issue during the bilateral talks, feel security agencies, so that Pakistan is forced to take some steps to decisively end this vicious cycle.